As you will already appreciate, “balance” in yoga means far more than simply not falling over! When in Vrksasana (tree pose), we attain balance by being both rooted to the ground, and extended towards the sky. In life our circumstances are constantly changing, and therefore we need to find different ways to tackle any existing emotional imbalances at different times. Yoga is especially clever in the way it improves our emotional well-being through physical means, as well as via intellectual enlightenment. For example, when experiencing the disappointment of not succeeding in getting a job, it might help you to accept and appreciate the fact that we are all unique and special in our own ways. In yoga there is no competition. You might enjoy the fact your body does not naturally form the perfect Paschimottanasana (seated forward bend), and appreciate that the object of the exercise is to breathe and release, rather than to form a specific shape. Gratitude is a very valuable emotion in bringing about happiness. You might also benefit from attending a vinyasa (flow) class, inspiring and motivating you to continue your endeavours to find a job, in the spirit of hope and adventure. Once getting your ideal job, however, your needs are likely to be very different. For example, you might need inner confidence and reassurance that you are worthy of your new, improved circumstances. Heart opening poses such as Ustrasana (camel) or one of the strengthening poses such as Virabradrasana II (Warrior II) might be beneficial in this respect. And whereas vinyasa flow sequences may have helped stoke your motivation to search for work opportunities, now you’re in a job it might be better to focus on releasing tension in the muscles around the shoulders and hips, toning the adrenal glands by twisting the torso, and triggering the parasympathetic nervous system (the so-called “rest and digest response”) through long exhalations. Sometimes it is easy to identify an unwanted emotion or a specific physical issue without necessarily knowing what you might need to address it. 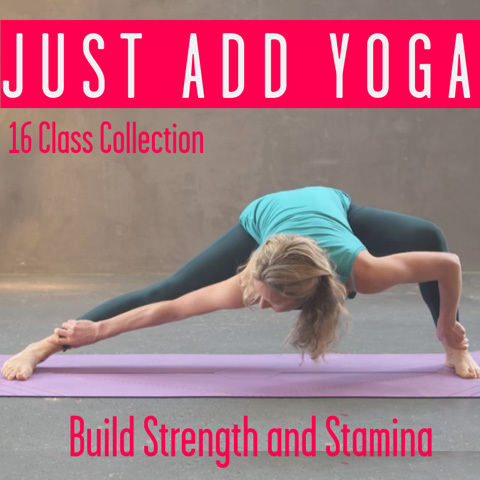 In order to make it easier for you to attain balance through yoga, the team at Movement For Modern Life has categorised an ever-expanding number of videos under drop-lists including Move into Confidence and Increase Focus. It may surprise you how your needs change throughout the duration of your membership! This post was written by Melisa Thomas, yoga teacher and friend of Movement for Modern Life. Melisa has been practising yoga for the past fifteen years. She loves yoga simply because it makes her feel grounded, happy and at one with herself and the Universe. In particular she enjoys mindful vinyasa flow sequences. 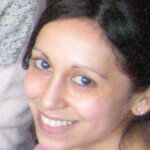 Melisa has recently qualified as a yoga teacher (200-hour Yoga Alliance and 500-hour British Wheel of Yoga Diploma – both with Teach Yoga Ltd.) She is also a lawyer; and in her spare time she is interested in the Arts, history and local heritage. This entry was posted in Movement // Yoga and tagged articles, balance, confidence, gratitude, happiness, movement, online yoga, self-help, wellbeing, yoga, yoga anywhere, yoga benefits, yoga for work on December 8, 2015 by Edith Johnson.